Use 39" Sunbursts for Wide Doors (Front Doors, Sliders & French Doors). 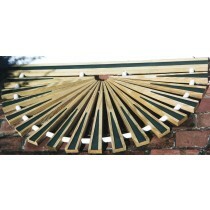 Use 31" Sunbursts for Side & Back Doors. CLICK Doormat Color Options to see COLOR SWATCHES. CLICK the DESCRIPTION to ORDER.